This picture was taken in Galena. The photographer's name is cut off. On the left is John A. Heer, and on the right is my great grandfather and John's brother, Walter Heer. Two friends are in the middle-they remain nameless, maybe someone will recognize them. 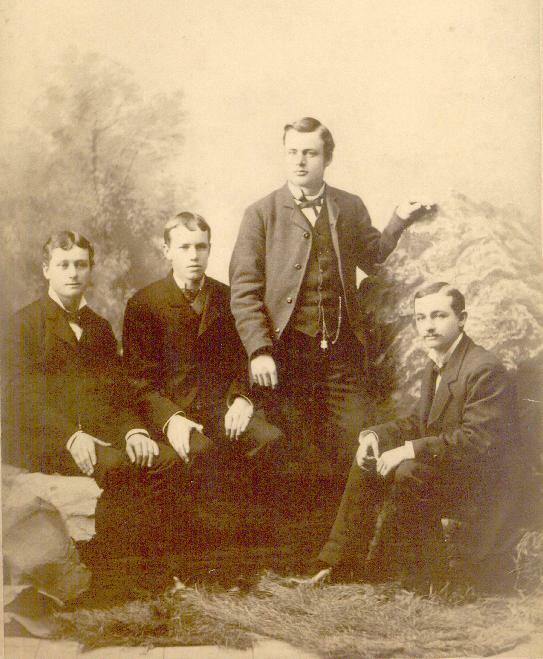 The picture was probably taken in the late 1870s or early 1880s as John was born in 1860, and Walter in 1859. They are the second and fourth children out of 17 total of David H. Heer and Martha Evans.